As our neighbors to the north celebrate Canada Day this weekend (July 1), we wanted to look back at some memorable highlights of Billy Graham’s ministry in Canada through the years. Billy Graham preached 13 Crusades in Canada, with countless more events taking place with associate evangelists. Today, Franklin Graham and Will Graham continue to spread the Gospel across Canada. Here’s a look at some memorable Billy Graham Crusades that have taken place in Canada. 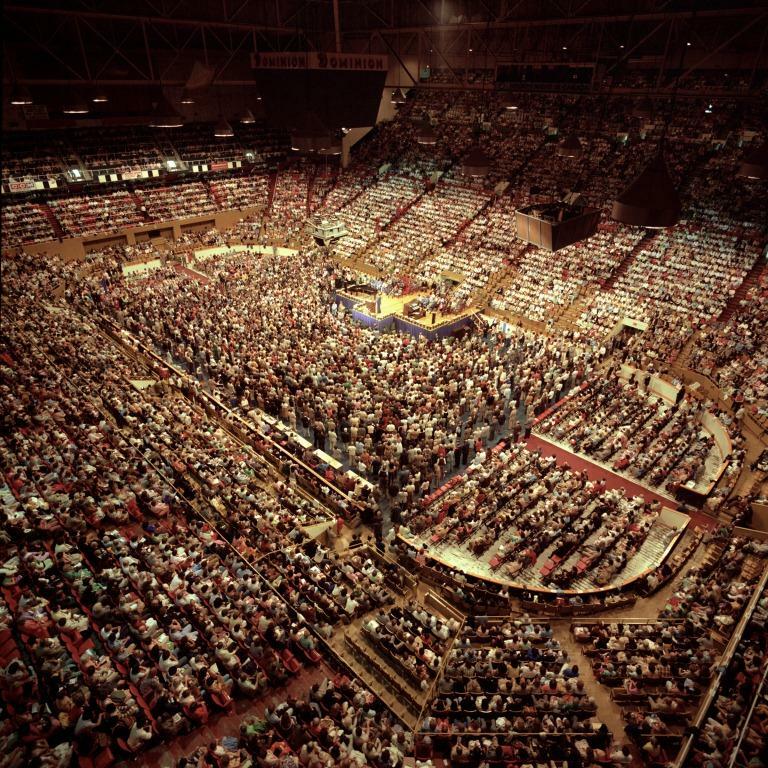 Billy Graham’s first Canadian Crusade, held in Toronto at Maple Leaf Gardens, drew 356,000 people over the course of the meetings. Thousands made decisions for Christ during the month-long campaign. During this Crusade, legendary Crusade soloist George Beverly Shea – a Canada native – performed what would later become a signature song, “How Great Thou Art,” for the first time. Both Shea, and “How Great Thou Art,” were staples at Billy Graham Crusades in the 50 years that followed. During the week-long Crusade, 209,000 people attended, with more than 9,000 making a commitment to Christ. 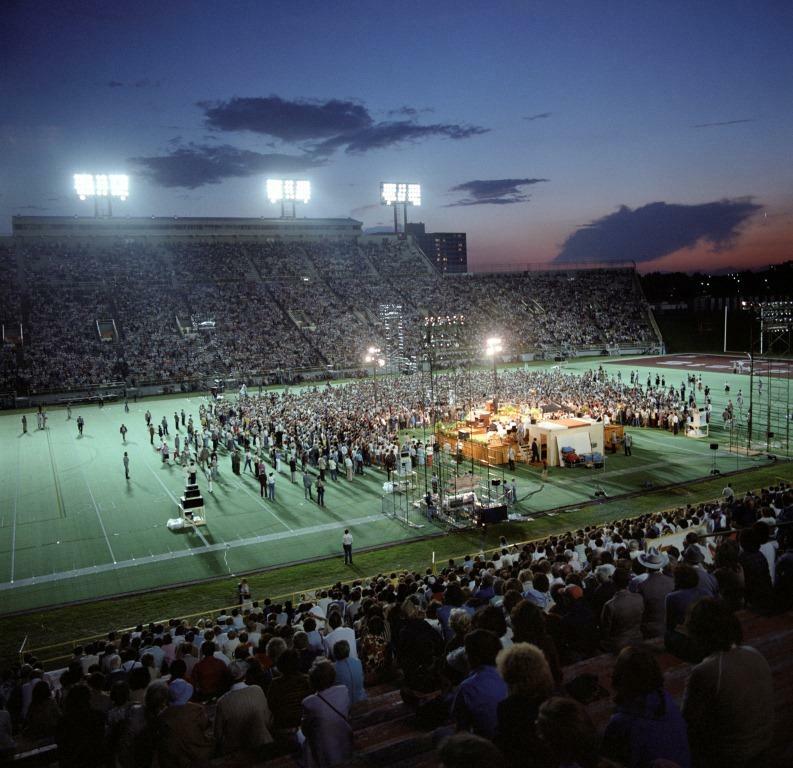 The Crusade drew 164,000 people to McMahon Stadium; more than 7,000 left the Crusade with new lives in Christ. That week, more than 229,000 attended; more than 10,000 found peace, committing their lives to Christ. People in southern Ontario saw firsthand the powerful evidence of the sovereignty of God. They saw it Wednesday, June 7, at the beginning of Mission Ontario with Billy Graham, and they saw God work right through to the concluding meeting on Sunday. They saw what God did in answer to the faithful prayers of believers. 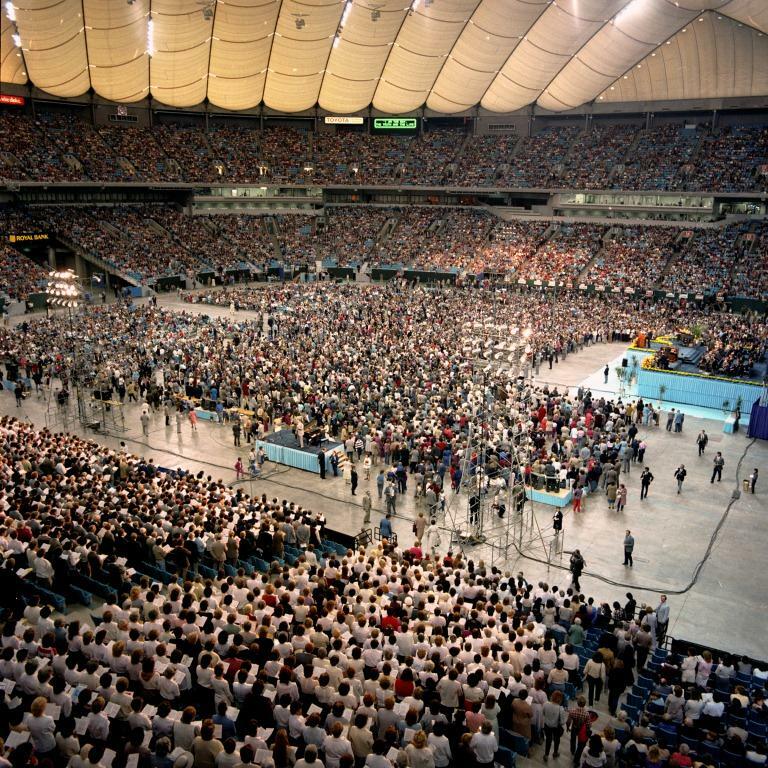 The Crusade, which drew 261,500 over the course of five days, broke SkyDome records. With Toronto being one of the most culturally diverse cities in the world, each night’s message was translated into 16 languages at a time. I too was saved under your Ministry back in your 1959 Crusade here in New Zealand. The Lord has been so gracious to me over the years..you are surely a the Gospel Preacher of the Century..how our Lord has used you to bring thousands to Christ. I salute you dear brother. God bless you abundantly in Christ Jesus our Lord. Ray Gooch. Hamilton . NZ. My daughter at age 3 raised her hand to receive Christ in Toronto (1995). She is now almost 24 years of age. Walks with the Lord. Knows Him, Seeks Him and Loves Him. she is saved for all eternity and as her mom, I will see and be with her eternally in Heaven with Jesus!!! What could be better than this. All else pales in comparison. Thank you from the bottom of my heart Dr. Graham. Well done good and faithful servant of God. I was there at the crusade in Vancouver 1984. I am so grateful to Billy Graham and his model life that we can look to. At the time I was 21 years old and felt his presence all through my life. We need people to stand up for young people like this now. Thank you. I was here in 1995! What a blessing! Thank You Lord Jesus! Your Name is great! 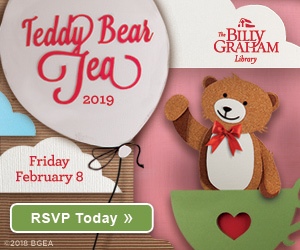 Billy Graham was my inspiration and a true Man of God whose message of love, the gospel of Jesus Christ reach people all over the world and have changed their lives. I was a volunteer who participated in his choir here in Toronto in 1995. 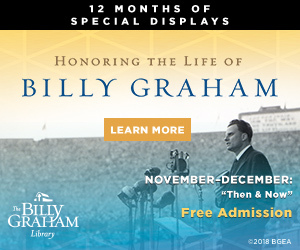 Oh, what a joy that was for me, at the end of that crusade, I walked down towards the center of the stadium and saw my hero, Billy Graham close up and had the privilege of praying with people across the stadium. 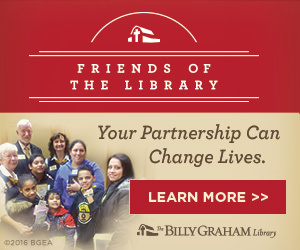 Well done Billy Graham, thou good and faithful servant. Thank God for what the Holy Sprit have done through you thank you and God bless. 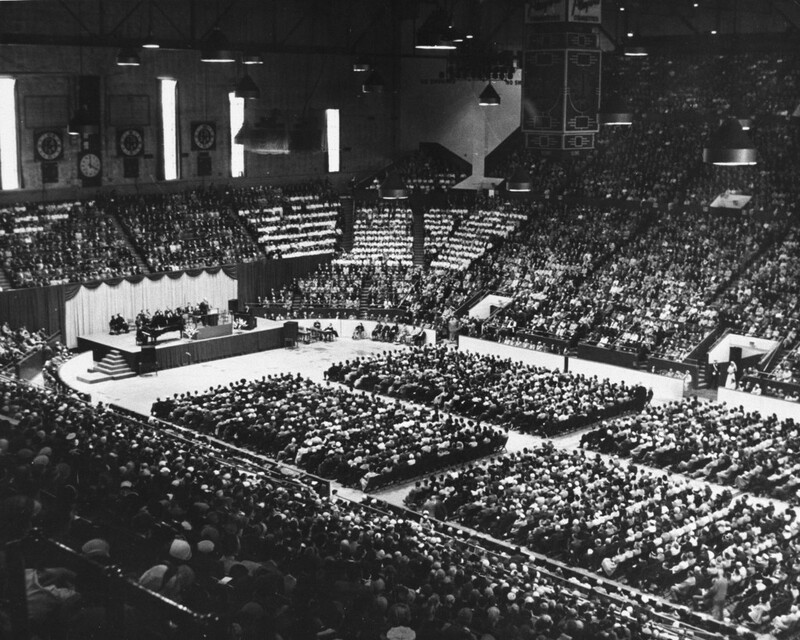 I attended the Billy Graham Crusade at Maple Leaf Gardens in 1955. Although I didn’t really understand what was going on (I was 8 years old), I did enjoy the music and the ‘theatricality’ of it all. I eventually accepted Christ in 1973. 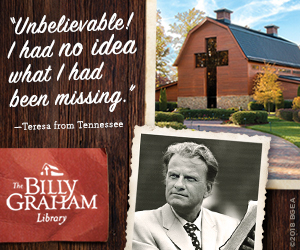 God is good and Dr. Billy Graham was an exceptional preacher. Thank you Jesus for giving us life abundantly. Praise God. 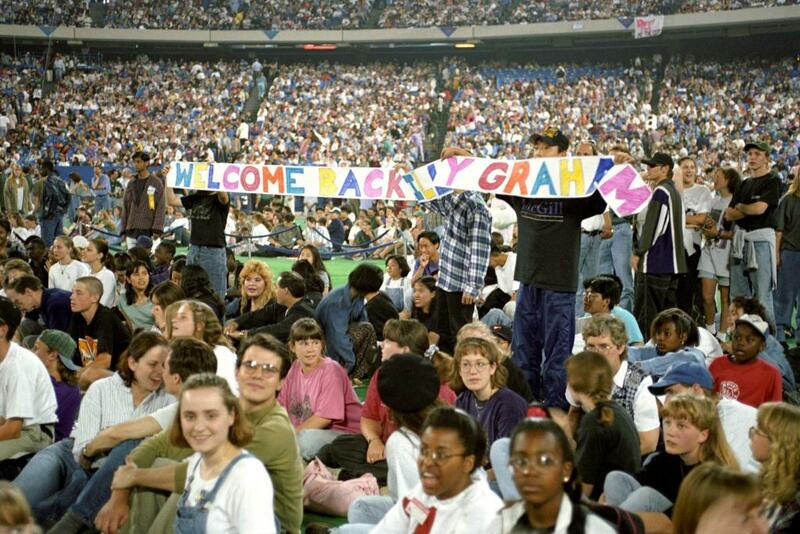 I was 5 at the ’95 crusade in Toronto… I remember 2 things. Psalty the talking Psalm book and giving my heart to Jesus on the stadium floor. Never looked back since. To all those involved from Billy Graham (may he rest in peace) to the man behind the blue costume, thanks for all that you do. God has used you all to bless my life. I’m in ministry currently and doing my best to spread the message of God’s love.